Master beekeeper Steve Repasky shows an observation hive to visitors at Bee Wise on Wednesday, June 8, 2016. According to Master Gardener Coordinator Philip Bauerle, Peachy Paterno owes its titular ingredient to the work of bees. Gardeners swarmed the Allegheny County Courthouse garden on Wednesday where Pennsylvania State University master gardeners handed out free plants and answered questions during Bee Wise, an annual informational event. "We are trying to make the community more aware of native plants and pollinators," said Penn State master gardener Susan Mortensen. Fellow master gardener and event coordinator Amy Dering said she believes bees are often misunderstood, and many people are put off by the fear of getting stung. "You have to learn to live with the bees and all the other bugs, because most of them are beneficial," she said. Visitors strolled past a glass display case housing a colony of active bees and a boxed collection bearing different preserved and labeled bee species. Steve Repasky, master beekeeper and president of Allegheny County's beekeeping association, Burgh Bees, talked to onlookers about bee colonies and the difficulties of beekeeping. Honeybee populations have been on decline for a decade due to Colony Collapse Disorder, which includes the combined effects of pesticides, pathogens, pests and poor nutrition, Repasky said. He said an acceptable population loss nationally for beekeepers' colonies is around 10 to 15 percent per year; today that number nears 40 percent. The USDA reported a 17 percent loss of colonies from January to March of this year. And unfortunately, said Master Gardener Philip Bauerle, bees aren't the only pollinator in danger. Other pollinators include moths, hummingbirds, bats and butterflies. Master gardeners handed out Berkey Creamery ice cream cones. Honeybees are an integral part of those iconic flavors, said Philip Bauerle, master gardener coordinator for Penn State Extension. "Without bees, there's no peaches for the Peachy Paterno. Without bees, there's no blueberries for the Alumni Swirl," Bauerle said. Though the situation is dire for honeybees, Repasky said the community is showing more interest. Burgh Bees is often contacted to put on presentations for schools, scout organizations and community events like Bee Wise. "Every Beekeeper is overwhelmed with requests on how they can help the bees; 'where can we buy honey,'" Repasky said. Like the master gardeners, he advises that people plant native pollinator plants and buy local honey to support the region's beekeepers. 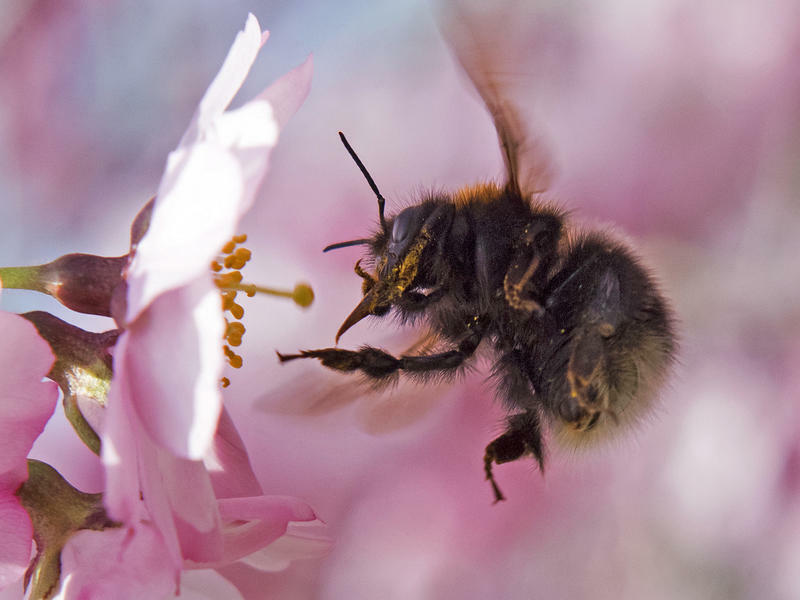 Bees can be pesky, but they're vital to the ecosystem. Take bees out of the equation, and many of the foods on the dinner table disappear. In an effort to protect them, experts plan to talk about the threats to bees and pollinators at Bee Wise: Plant Natives on June 8, hosted by the Allegheny County Master Gardeners and Penn State Allegheny Extension. Mario Padilla, a honeybee researcher at Penn State University, can usually tell when his hives are getting agitated. But he’s already been stung three times today. And he’s about to get it again. Two years ago we took a look at the world of urban farming in Pittsburgh, with a focus on beekeeping in particular. As in many cities, those who want to build apiaries in Pittsburgh have had to jump through various bureaucratic hoops and deal with the myths and fears surrounding honeybees. President Obama recently stressed the importance of preserving our honeybee populations for the sake of food security. 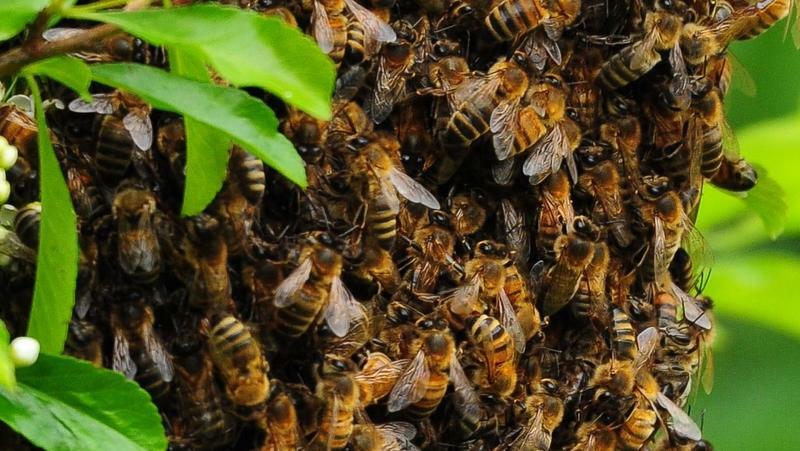 And the White House has even announced plans to form a task force to investigate honeybee colony collapse. With renewed attention on the decline of pollinators, Steve Repasky, President of Burgh Bees and David Tarpy, Professor and Extension Apiculturist in the Department of Entomology at North Carolina State University are working to preserve the honeybees in Pittsburgh and the rest of the country. Repasky said the local laws for beekeeping have not changed within the last two years, and the rules for keeping bees are pretty strict. But he thinks there has been a good push for positive change in Pittsburgh, and hopes to get a change in the urban agriculture ordinance. Late spring is swarm season — the time of year when bees reproduce and find new places to build hives. Swarms of bees leave the nest and zoom through the air, hovering on trees, fences and houses, searching for a new home. While a new neighborhood beehive can be stressful for homeowners, it's an exciting time for beekeepers, who see it as an opportunity. 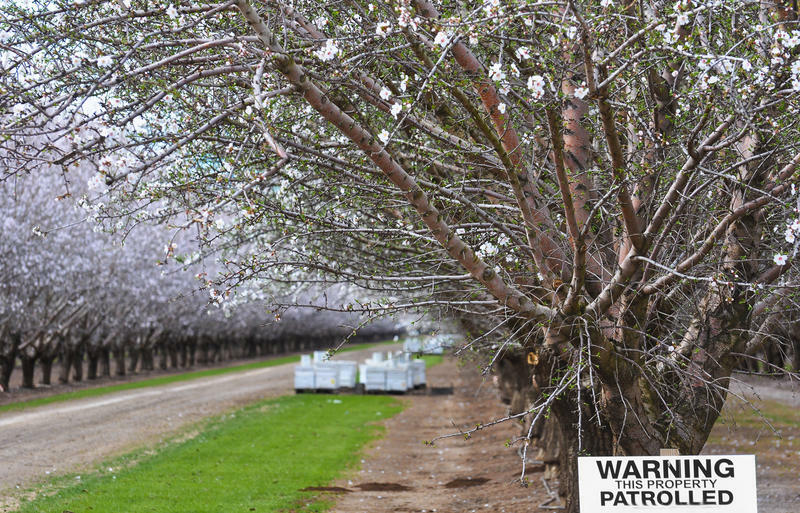 Between December and March, beekeepers send millions of hives to California to pollinate almond trees. Not all of the hives make it back home. "The number of beehive thefts is increasing," explains Jay Freeman, a detective with the Butte County Sheriff's Office. In California, 1,734 hives were stolen during peak almond pollination season in 2016. In Butte County alone, the number of stolen hives jumped from 200 in 2015 to 400 this year, according to Freeman.